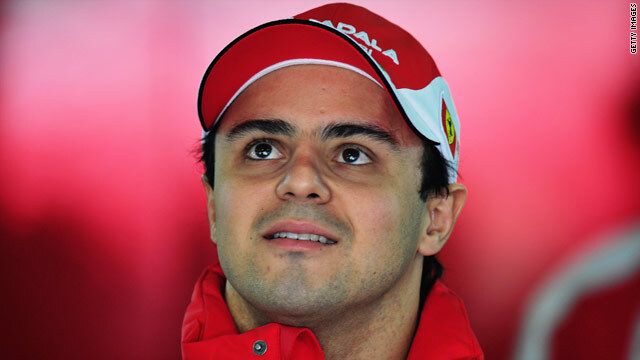 Felipe Massa will continue to be a Ferrari driver until the end of the 2012 Formula One season. (CNN) -- Felipe Massa has been handed a two-year contract to keep him with Ferrari until the end of the 2012 Formula One season. The Brazilian joined the Italian team in 2006 and his contract extension ends speculation that he would be leaving at the end of the current campaign. Massa has recorded 11 victories and 360 championship points for Ferrari and currently sits seventh in the drivers' standings, 26 points behind leader Mark Webber, of Red Bull. Massa told Ferrari's official Web site: "I am happy to be given the opportunity to drive for Ferrari for a further two seasons. "It is a matter of pride for me to be able to continue working with a team that I regard as a second family. "Throughout my entire Formula One career, I have always raced with an engine made in Maranello and it is a matter of pride for me to be able to continue working with a team that I regard as a second family." Massa suffered a fractured skull during the Hungarian Grand Prix in July last year and missed the rest of the season. He was fit to start the 2010 season but teammate Fernando Alonso has outshone him during the opening stages. However, Ferrari team principal Stefano Domenicali is delighted to retain the 29-year-old's services. He said: "Felipe has been part of Ferrari for almost a decade and together with us, he has grown as a driver and as a man, going through some very difficult times as well as giving us moments of great happiness. "We wanted to show proof of stability for the future, believing in the worth of a driver pairing that is without equal in terms of talent, speed and its ability to work together for the good of the team." Alonso is also contracted until 2012, meaning Ferrari will boast the same driver line-up for the next two seasons.